That's Amore in Collingswood. Credit: Matt Skoufalos. Owner Alfredo Fischioni says the satellite location will offer European street food and customer favorites. He still plans to reopen in Collingswood. The future site of Amore Mio Merchantville. Credit: Matt Skoufalos. Collingswood is well-known for its abundance of Italian restaurants, but for the better part of a year, one of its longest-running establishments has been dark. 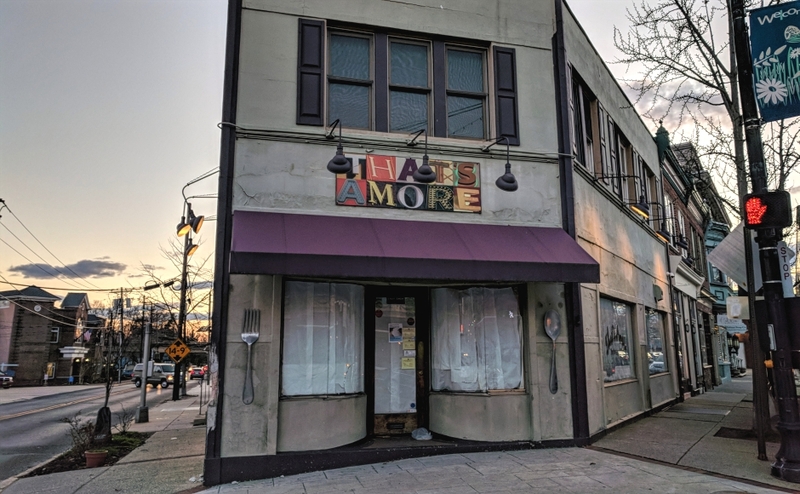 That’s Amore, the pasta-driven café that’s occupied the corner at 690 Haddon Avenue for the better part of a decade, has been offline after a devastating flood. Undaunted, chef Alfredo Fischioni says he still plans to reopen it, pending a resolution with his insurance company. 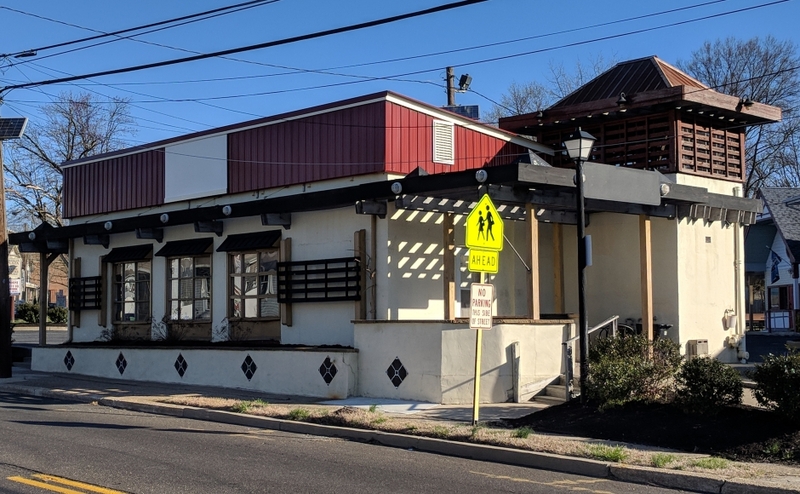 But in the meantime, the chef is expanding into a smaller, satellite location in Merchantville this May. Dubbed “Amore Mio” (Italian for “My Love”), the new eatery will occupy the former site of Ms. Nancy’s Place at Trellis Plaza on Chapel Avenue. Its menu will center on “European street food and Italian comfort food,” Fischioni said: Belgian pomme frites, Roman stuffed artichokes, Greek grilled octopus, among others. Arancini from That’s Amore. Credit: That’s Amore. 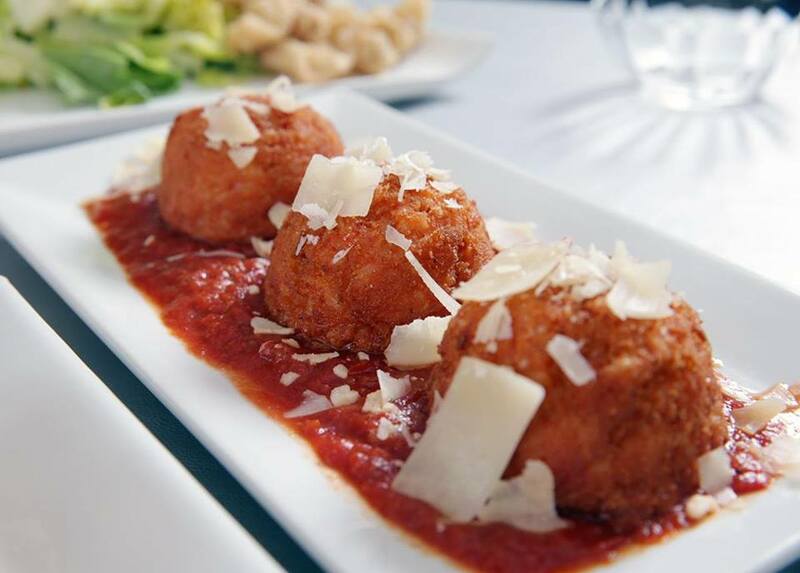 Longtime customers of That’s Amore also can expect to find favorite dishes like the arancini and calamari salad, and its popular create-your-own pasta specials will include new, gluten-free sauces and zucchini noodles. “We’re going to keep the classics, expand on some of the things that we have, and offer some interesting things for people with dietary restrictions,” Fischioni said. Amore Mio will be a BYOB, but a partnership is in the works with Hawk Haven Winery of Rio Grande that would allow guests to buy its wine onsite. The restaurant also will feature a dedicated parking lot, which That’s Amore lacks. In the meantime, the chef will continue to work to renovate That’s Amore, albeit on an indefinite timeline. Fischioni said he expects his former customers will make their way back when it does. Fischioni added that the customers who’ve followed along with the family during the months That’s Amore has been quiet have offered much-appreciated support. “I’m still very passionate about the food that I serve, and I’m still looking forward to serving them,” he said. “All the people that encourage you, when they take the time to stop and tell you that they do, it gets you through the day.